Erynn and I like to go to the World Rowing Championships every year. Not only do we like rowing, but the championships are usually held in really cool places. Attending the Champs gives us the excuse to visit new places. Our first Championships together were in St. Catharines, Canada for the 1999 event. 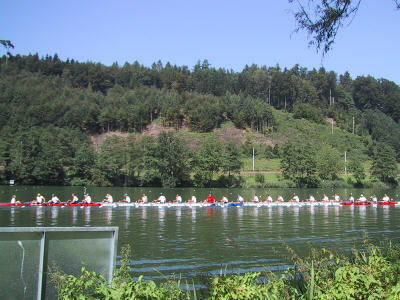 In 2001, the event was held in the most perfect place for rowing: Lucerne. Attending the event with us were our good friends Ash and Scott from our rowing club in Bristol. We spent a day seeing the sights then a couple days over the weekend watching all the finals of the rowing events. 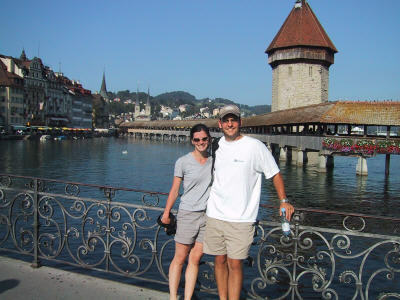 The town of Lucerne is picturesque. It sits right on the shores of a lake with Mt. Pilates in the background. This photo was taken right in town. We decided it would be a good idea to climb Mt. 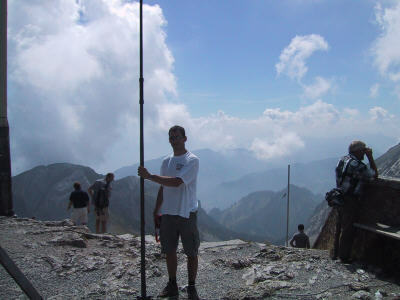 Pilatus on one of our free days. 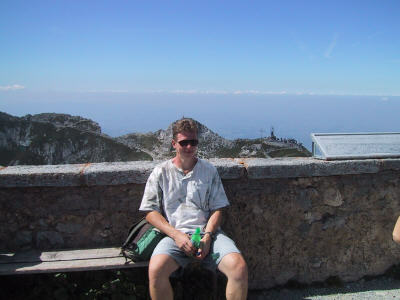 I stopped half way and took the cable car the rest of the way because I had half a brain cell. Erynn, Ash, and Scotty continued on, and as you can see from how knackered Ash is, I clearly had the better judgment. 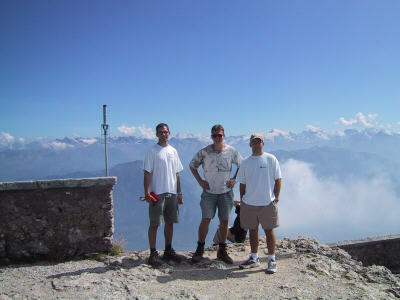 After Ash recovered, the three boys posed on top of the conquered mountain for an inspiring photo. Then Scott couldn't resist the urge to grab his knob. 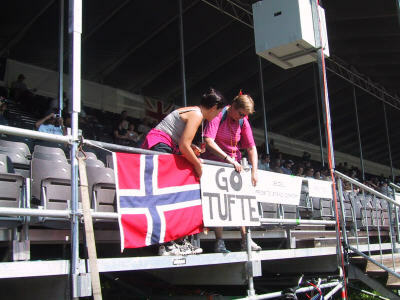 While at the World Champs, we saw these die hard fans cheering for their hero Tufte. Not my best mate Jerod Tufte mind you, but rather world champion sculler Olaf Tufte. ...and straight out of a Ricola commercial. 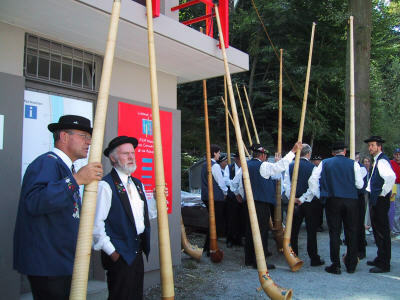 The Swiss are really, really funny people. I mean that in the best way possible. The major news of the regatta was that of Matthew Pinsent and James Cracknell trying to become double world champions in the Pair With and Pair Without. They are certainly tremendous physical specimens, but to double up and win two events on the same day -- within hours -- is a huge ask. They ended up winning both events with a combined margin of less than a second. Pretty amazing stuff! The left photo shows them in the pair with coxswain and the right photo shows them crossing the finish line in the pair without (and you can see the narrow margin). I won't bore you with tons of rowing photos. Next to myself, no one could give a toss. But even the uninitiated would have to appreciate a boat with 24 scullers in it!